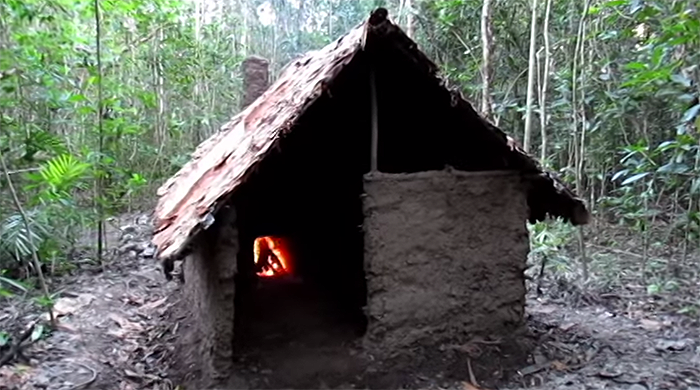 This shelter is built direct from the land with bare hands and pure knowledge of primitive building skills. 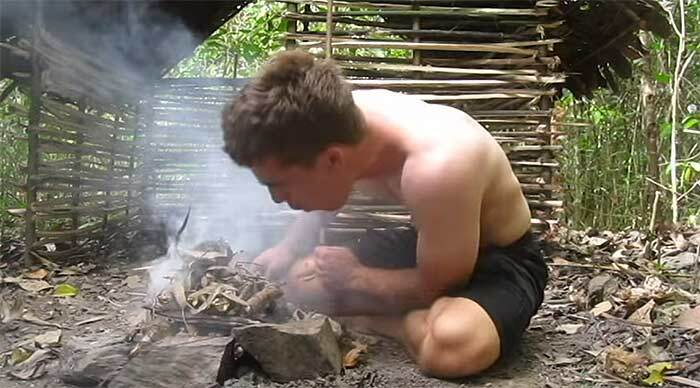 The best part is it’s built for free, and anyone can build it with simple primitive skills as demonstrated here. 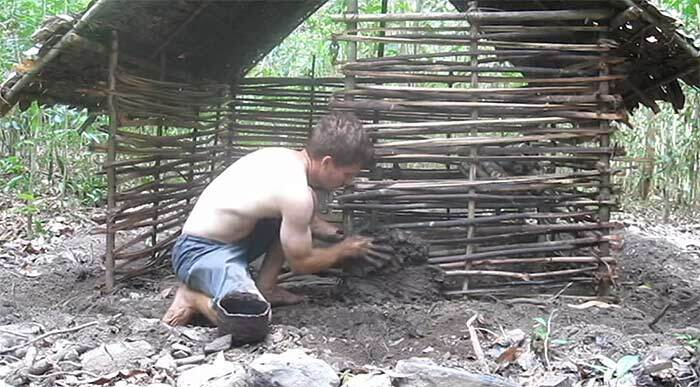 Not only does this young man build the shelter, he made the tools and equipment direct from the materials he found lying around. 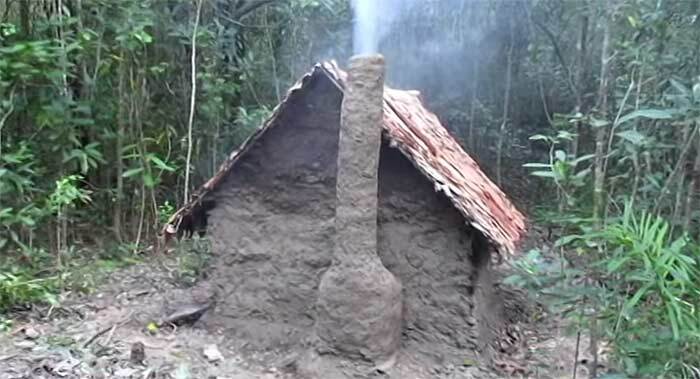 This is a great example of how to actually build something from scratch, from the land, without having to purchase and tools or materials. Yes. 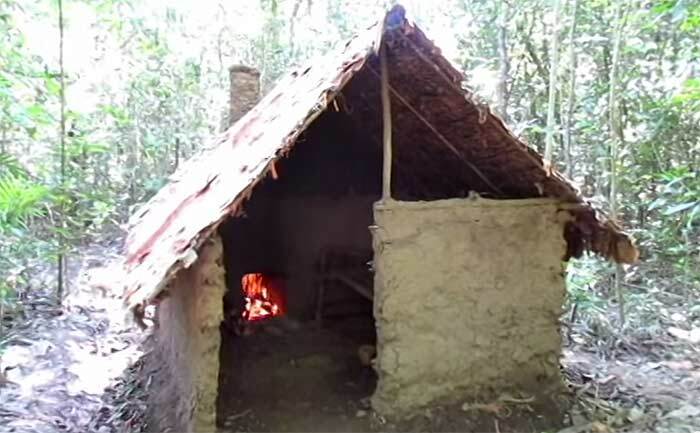 It’s a basic shelter. However, it’s much much more than that. It;s an example of human ingenuity and skills we as a society are in danger of forgetting as the civilized world marches on into the future. As technology advances, we run the risk of losing this vital knowledge. Knowledge that we may need to fall back on to survive. 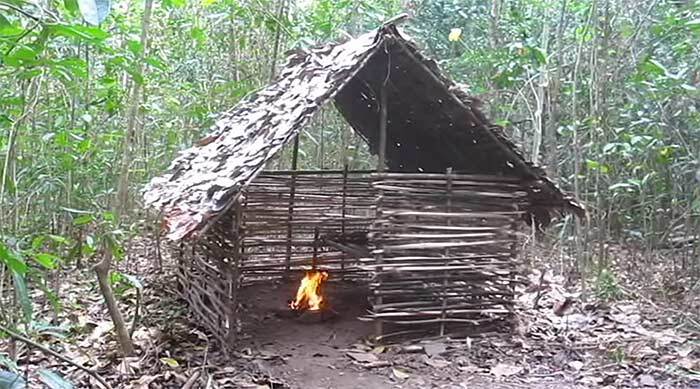 The primitive skills demonstrated here are simple, no-nonsense methods to build a basic shelter and structure complete with a heat source, bed, shingled roof, and solid walls. This shelter is called a wattle and daub hut. 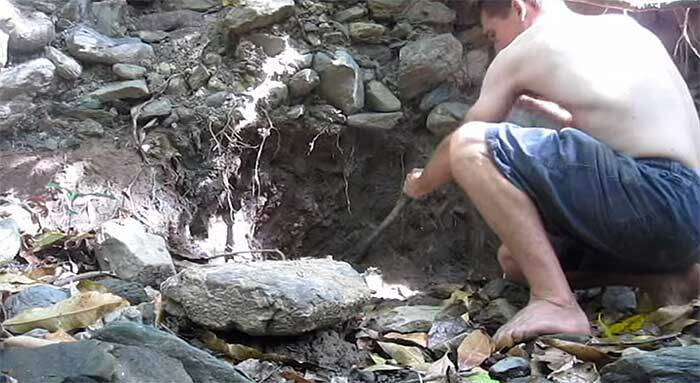 It uses all natural materials, sticks, limbs and branches, mud, clay and water to build up the walls. 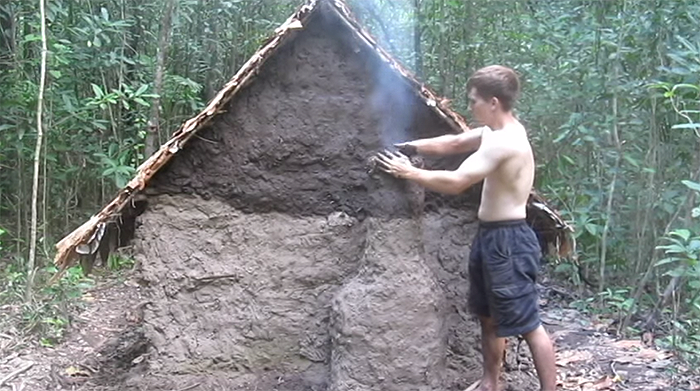 The branches form a basic weave-like structural base for the mud and clay to adhere to. The walls are then build up, layer by layer until they reach the roof. The shingles are made from tree bark. 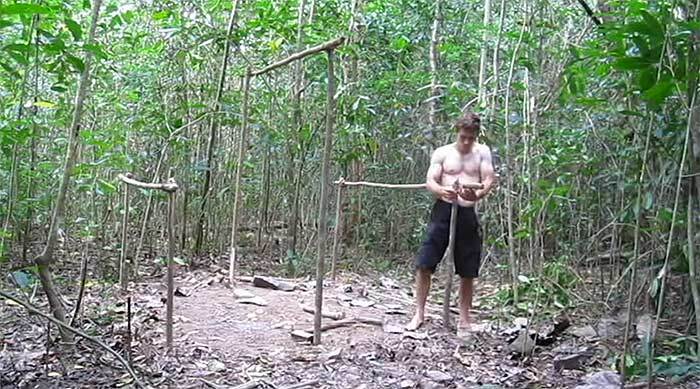 Shape it into a makeshift axe and start chopping down some trees to build the basic frame of your shelter. Tie your structure together with vines or cordage. Once your bed is in place, build up the skeleton of the wall framing. Basically dig a hole in the ground. Put your clay pot inside. Cover it with dry twigs and leaves. Then light it on fire. Pretty simple really. First dig up the clay. 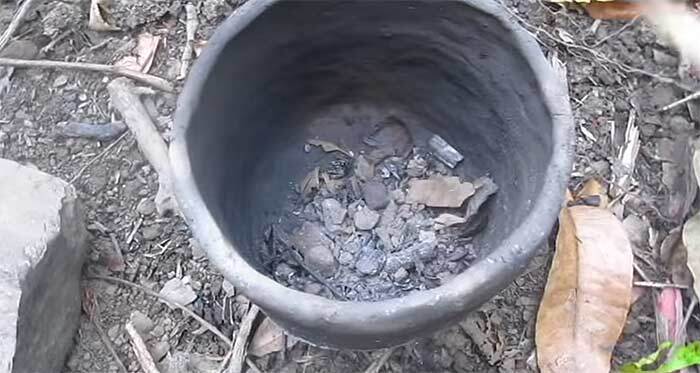 Place your clay pot inside the hole. 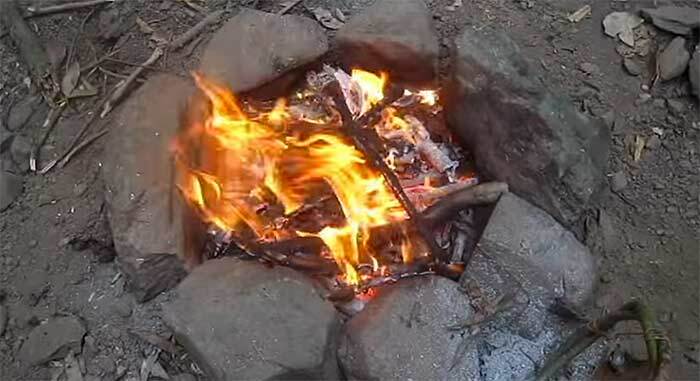 Add sticks and twigs and light on fire. You also need fire. 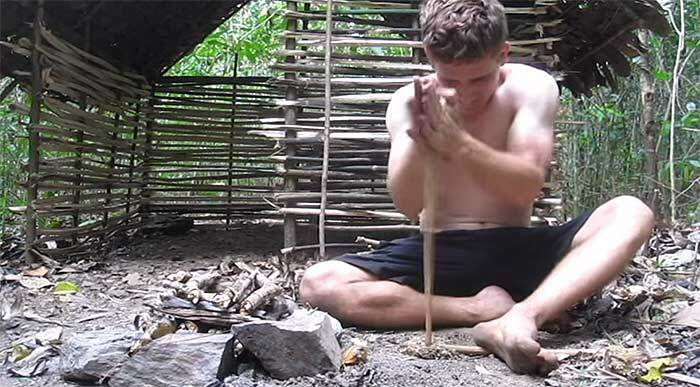 So here’s how to make fire with a stick. You need a place to put the fire so knock a hole in the wall for the fireplace and chimney. This makes me want to build one myself. Next articleDoes Organic Farming Outperform Conventional Farming?